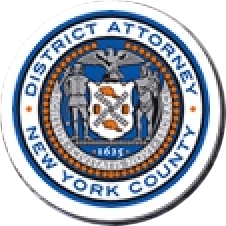 Manhattan District Attorney Cyrus R. Vance, Jr., today released the D.A.’s Office’s new policy to decline to prosecute marijuana possession and smoking cases, effective tomorrow, August 1. The policy, which is included below, is expected to reduce Manhattan marijuana prosecutions from approximately 5,000 per year to fewer than 200 per year, a 96% reduction. The D.A.’s new “decline to prosecute” policy was distributed last week to Manhattan Assistant D.A.s, as well as to the New York City Police Department, Office of Court Administration, and public defense organizations. The full text of the policy follows. — Cases against sellers: Examples include observation sales where PL § 221.40 cannot be charged, or possession of large quantities of marijuana individually packaged for sale (10 bags or more). — Demonstrated public safety threat: A case where there is additional information from the NYPD or from our Office which demonstrates that the individual otherwise poses a significant threat to public safety, and an Office supervisor agrees with that assessment. Examples include a defendant currently under active investigation for a violent offense or other serious crime. Assistant District Attorneys must state on the record at arraignment that ‘the case falls within one of the limited exceptions to our marijuana policy. In light of the D.A.’s new policy and the decriminalization of marijuana offenses in other states, the D.A.’s Office has been working with public defense organizations and criminal justice stakeholders to proactively seal past marijuana convictions en masse in Fall 2018. Since 2010, D.A. Vance has markedly reduced unnecessary incarceration and collateral consequences in the justice system by ending the prosecution of tens of thousands of low-level offenses annually. On February 1, 2018, D.A. Vance ended the criminal prosecution of subway fare evasion (known as “turnstile-jumping”), except in limited cases where there is a demonstrated public safety reason to prosecute the offense. In 2017, the D.A.’s Office prosecuted more than 8,000 fare evasion cases. In 2018, following the first six months of the D.A.’s “decline-to-prosecute” policy, Manhattan fare evasion prosecutions are down -96.4%. The D.A.’s policy also contributed to a 90% reduction in arrests for fare evasion in Manhattan. According to the NYPD, transit crime is down -4.51% citywide in 2018. Recognizing the racial disparities inherent in enforcement and negative collateral consequences for those charged, District Attorney Vance has vocally advocated for the statutory decriminalization of marijuana possession since 2012. In 2017, D.A. Vance issued one of the most lenient marijuana policies in New York State, under which individuals accused for the first time of smoking in public received a 90-day Adjournment in Contemplation of Dismissal (“ACD”), and those accused for the second time received a 180-day ACD. If these individuals remained arrest-free for the duration of these periods, their cases were dismissed and records were sealed.